The map of the Korean Peninsula. This is a poster of the summit broadcast. It says "working for peace together". As the official broadcaster of the Inter-Korean Summit held on 27 April 2018 at Panmunjeom on the border of North and South Korea, KBS delivered extensive coverage of the event with a raft of special news and analysis programs and live broadcasts. 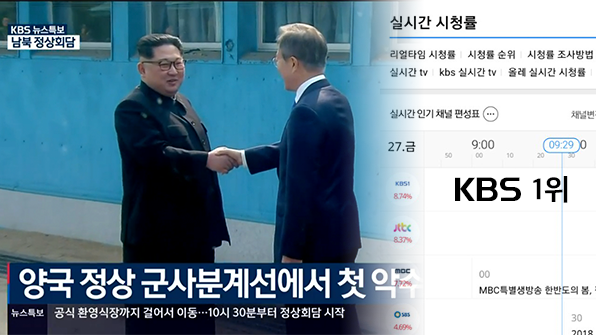 Flagship news outlet <KBS News 9>, started from 8 a.m., an hour earlier than the usual scheduled time, reported the historic meeting between the two leaders and its political implications on the Korean peninsula and the world. The summit was held for the first time in more than a decade amidst expectations for peace in the region which has experienced the ongoing uncertainty due to a series of nuclear tests by North Korea. The joint statement released at the end of the summit and titled “Panmunjeom Declaration for Peace, Prosperity and Unification of the Korean Peninsula” showed the two leaders’ commitment to end the division and bring harmony. Prior to the summit, KBS signed an agreement of the official broadcaster on 23 April, 2018 at the National Museum of Modern and Contemporary Art. Also, KBS built and operated the master control room of the press center located in the south of Panmunjeom in Goyang. 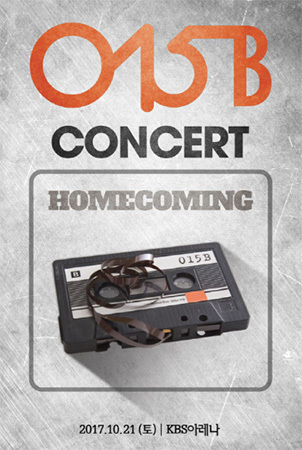 As the official broadcaster, KBS was also responsible for the production and distribution of the international signal for the event. Additionally, KBS broadcast a range of special programs such as “The Beginning of Peace,” an in-depth analysis of the summit, on 27 April and “Spring in Panmunjeom” which looked back at the history of the place on 1 May. <KBS News 9> was the most watched news program by the nationwide audience for this historic meeting.